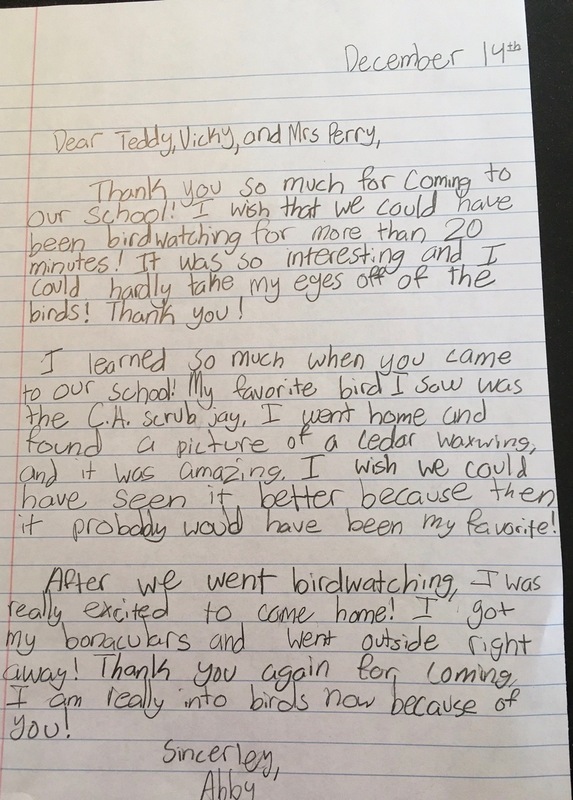 Throughout the year the MCAS Education team gives talks and leads bird watching field trips for children at various schools in SLO county. 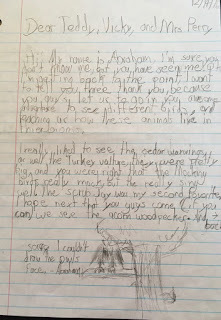 Some of the students write Thank You notes. Here are just two, sent in December 2016, that were gratefully received by the team. 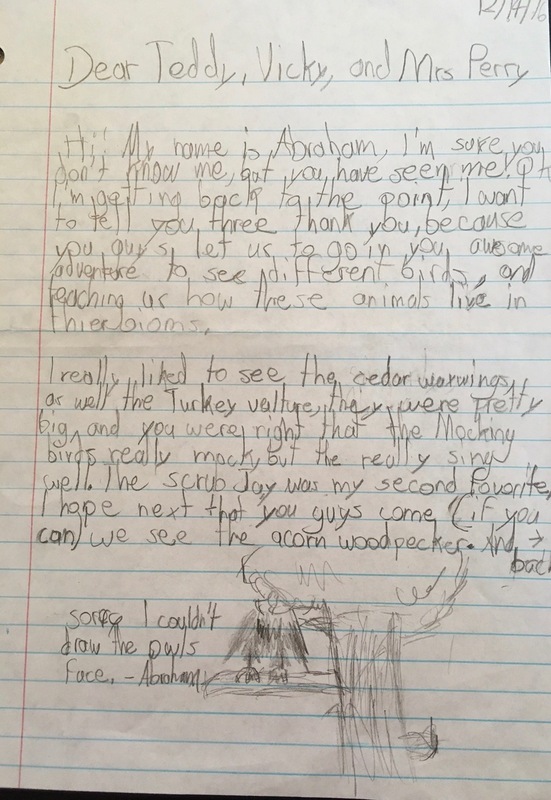 The eight Third-Grade classroom presentations, to Vineyard Elementary School in Templeton during the week of January 10th, went off without a hitch. 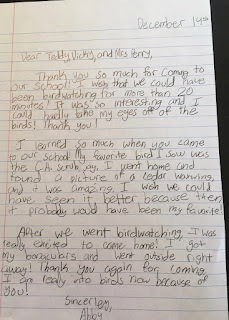 The team will be visiting those classes again in the Spring for an opportunity to take the students on a bird watching field trip along the riparian/grassland areas that border their campus. Schedules are now being put together by various team members for presentations and field trips for the upcoming school months. 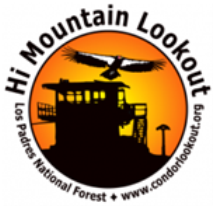 You can contact the Education Chair, Kaaren Perry, at Kaaren@morrocoastaudubon.org, for more information about possibilities at your school.